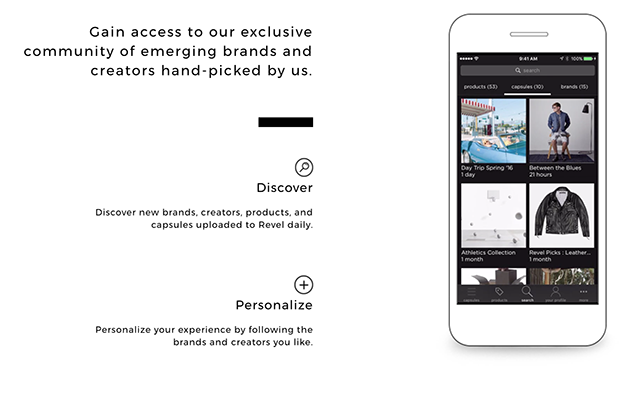 Revel is a communal mobile marketplace, featuring lifestyle products and stories from emerging brands and creators. There are more than a few problems with shopping on a mobile device. Most online stores still aren’t built to be viewed on a tiny phone screen, and pinching, zooming, and clicking to the next page grows tiresome. 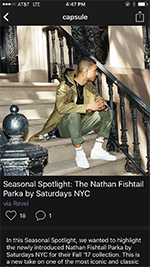 Revel is a shopping app designed to be used on mobile devices, but it also goes a step beyond its competitors. 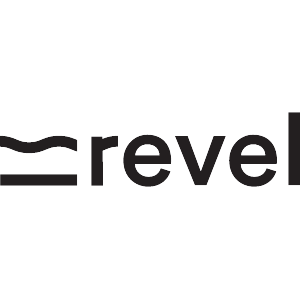 Rather than just featuring items for sale, Revel features in-depth stories about the creators behind the products it features. It’s like reading a really good issue of GQ, but being able to click and buy the items you see in the images instantly. Like GQ, a lot of the clothing items Revel features can be costly. Revel describes itself as selling “lifestyle products,” and they definitely promote items that cater to a higher end market. 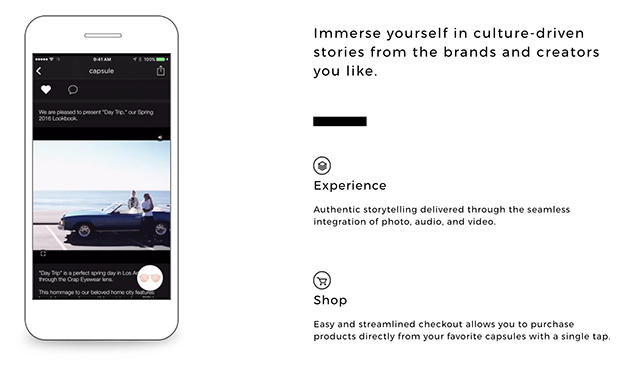 But part of the beauty of the app is that you can still use it if you appreciate the stories and products featured. You don’t have to ever buy anything, and you can still get some enjoyment out of the app. 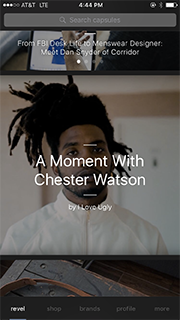 In addition to the written articles, the app also integrates videos that can be viewed seamlessly. Although Revel is a difficult app to describe, it’s incredibly well done and everyone should download it.